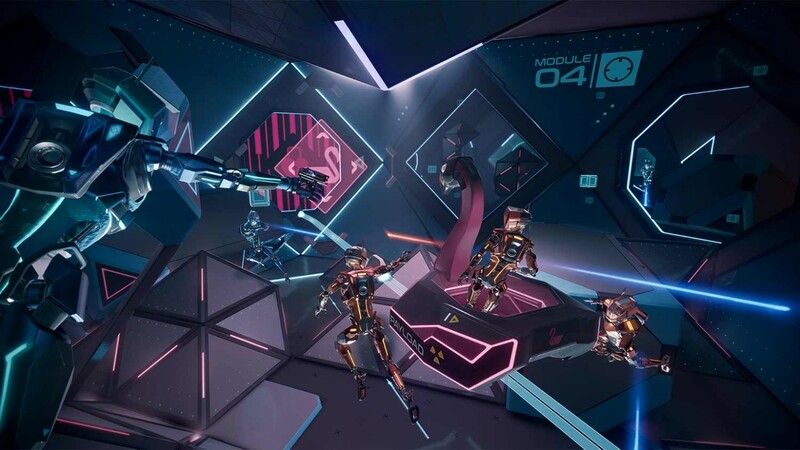 Echo Combat, the zero-gravity VR shooter from the creators of games like Lone Echo (which exists in the same universe) and The Order 1866, is entering open beta today. All you need to take part is own the Oculus Rift hardware and download the free-for-a-limited time beta version of the game when it becomes available. The beta begins today at 10:30 a.m. PT and will go until 10:00 a.m. PT on Sunday, June 24. Along with being able to play matches, players will also be able to explore Echo VR – a zero-g social space where you can practice moving around and set up games. I played Echo Combat last week at E3, and was impressed. Gunplay in well-executed zero-g virtual reality is quite the experience, and I recommend downloading it and checking it out if you have an Oculus Rift. I know I plan on making time for a few matches.